The party found the ancient aboleth city of Golismorga that the " troglodyte spirit" had told them of. 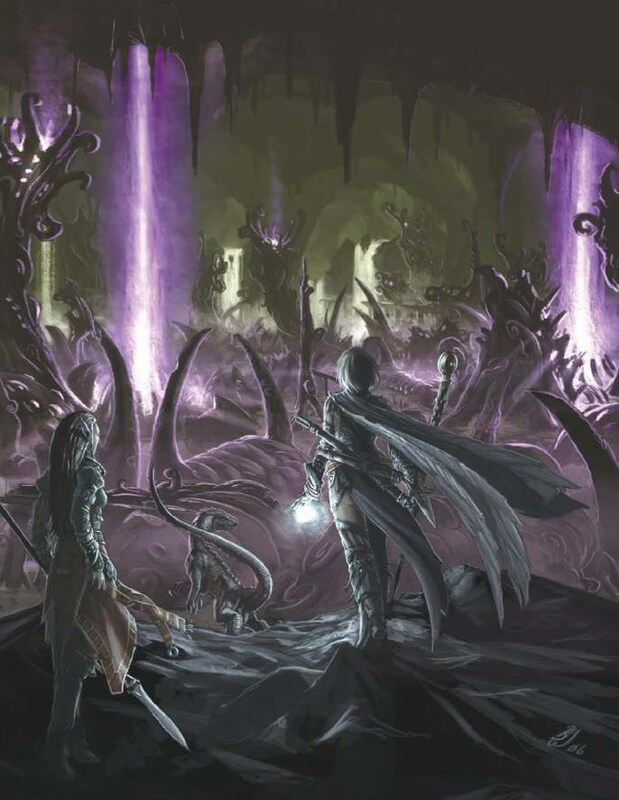 It occupied a vast cavern, filled with strange fleshy 'buildings', and twisted pillars that spouted a cold violet flame up to the ceiling. The structures appeared made of flesh and coral, interwoven , and clearly sagging without the supporting water that had been driven from the cave. A rheumy eye appeared on one of the nearby structures, bubbling to the fleshy surface in a blister, and blinked at the party, as a crude forked tongue licked it moist. Strangled cries echoed across the chamber, mimicking the voices of the party. The party (for some reason) decided to forgo scouting the cavern, and descended to the cavern floor, which was a hard pressed sandy texture. Heading towards one of the pillars of flame, Faldak spotted some tracks leading away from the flame, and Dacien saw what looked like mathematical equations relating to planar geography scrawled in the sand. However, the party could not approach the pillar any closer without being wracked by mind-numbing headaches and dizzying nausea. Instead, they followed the footprint, seemingly of a large humanoid, to a cave set in the southern wall. A whispered voice called out and bade the party to wait, and before long a tall cowled figure emerged, head bowed so no body was visible, followed by a dog-sized antlike creature. The giant introduced himself as Rakis-Ka, but the word had barely left its mouth before Stefanie tried to call upon Vanya and turn the creature. 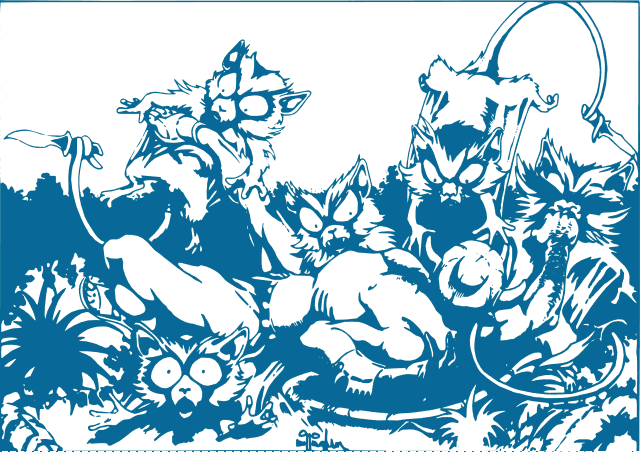 Rakis-Ka hissed angrily, but combat was narrowly averted by Ji and Mendel trying to smooth over Stefanie's rash action. Faldak was dominated, and tried to attack Stefanie, but a ward placed on the dwarf managed to suppress the enchantment. 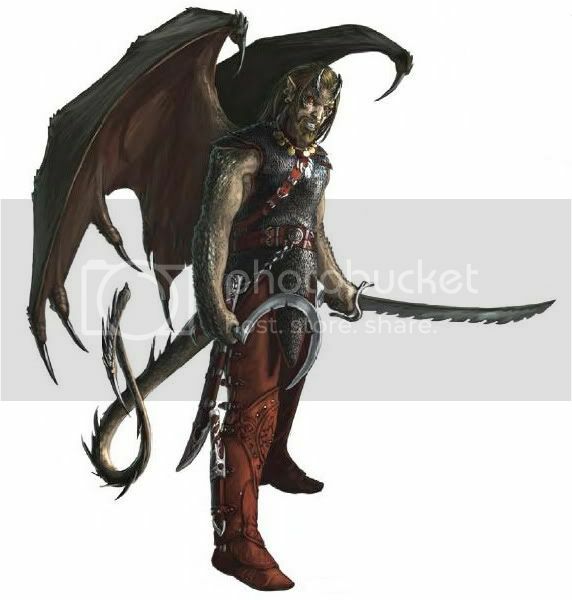 Rakis-Ka was more sullen and guarded, and said he would not offer the party any assistance or information unless they helped him destroy a creature that was guarding an object he desired to the north-east. A Nel-thaggu or Brain Collector had made its lair in a crater, and was guarding an object there. 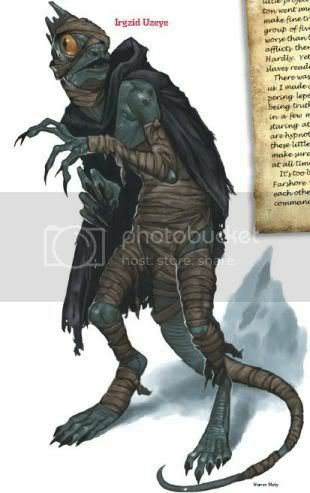 If it could be killed Rakis-Ka would offer the party knowledge about the kopru. (DM Note: he was going to offer trade and much more, but nevermind...!). The party set off for the crater, edging their way around the cavern edge. They soon came up on the depression, covered in large fungal growths and thick with slime and detritus that sludged down its sides. Above the crater, the part spotted the ceiling of the cavern was oddly smooth and flat. Zhedd took Banshee up to investigate. Ji heard a strange alien noise from somewhere in the crater, which Dacien thought sounded like a spell. When the party rushed to look, the crater was empty save for a large conical structure made of ice and stone. Ji could hear similar alien sounds from elsewhere in the cavern. Zhedd examined the ceiling and noted that the stone looked like the result of magical creation, and had been shaped by magic since being put in place. Zhedd then looked at the sludge and slime in the crater and launched a fireball into its centre - destroying the slime but also causing the conical object to crack. That was when its guaridan chose to attack. The party were beset by spells from an invisible creature; holding Banshee, and harassing Zhedd with cones of magical cold. Dacien and Zhedd managed to catch it in the area effects of their fireballs, before it realised the danger the spell casters posed, and flew over - clamping its jaw around Dacien's head and ripping the top of his skull off. As Dacien fell, Stefanie could pin point its location, and called down flame strike. 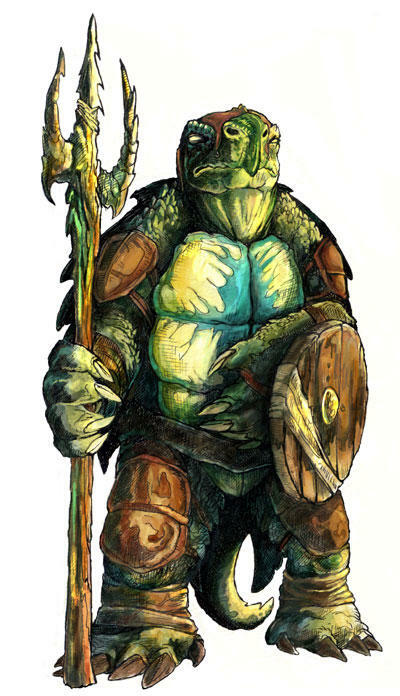 With aid of Truesight, Antony acted as the party's spotter, before Mendel saved the day by plugging a smokestick-laden arrow in to the hide of the creature. A large elephantine form of an alien creature became visible, pulsating sacs containing brains atop its head. Eventaully the party managed to dispatch the creature, and Stefanie had a chance to bring Dacien back to life. As the party recovered and set about retrieving the corpse of the brain collector, Rakis-Ka re emerged from behind a nearby mound. He demanded the party stuck to their bargain and left, but Mendel was adamant about examining the conical object in the crater first. The stranger reluctantly agreed but Ji could tell he was sizing up the party. The object in the crater turned out to be what seemed a chunk of a comet, shaped carefully and engraved with images the party deduced to be the immortals Khoronus (Time), Ixion (Energy, the Sun), Nyx (Entropy, the Undead), Noumena (Thought, Strategy) and Djaea (Matter, Nature). These were the immortals mentioned by Lady Silvermane of the Church of the Whirling Fury as being members of the Council of Intrusion that watched for incursions on to the Prime from beings beyond the Dimensional Vortex - the mysterious Outer Beings or Old Ones. 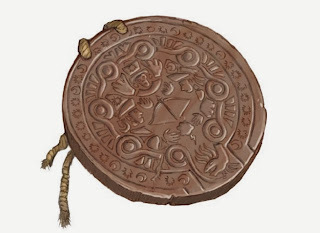 The artifact was incredibly magically powerful but the party could not discern its function. Rakis-Ka then told the party what he had observed of the kopru. They had taken up residence in a ziggurat they had built around a pyramidal fleshy structure, and engraved with symbols in worship of Demogorgon. Golismorga was a city of the aboleth - survivors of the Outer Beings, and Rakis-Ka believed the kopru were trying to unlock these secrets on behalf of their evil patron. He described their forces - almost 50 kopru, 20 naga and 80 troglodytes - which stay in close proximity to the ziggurat, and that some of the Kopru he had seen fly. With that, he bade the party farewell, and they had the impression he would not welcome their return. You have 20 points to spend using the following system. No starting score above 20 after racial mods below. Using 3.5e standards plus campaign-specific races as below, with the following pathfinder additions. All core 3.5e classes, plus Swashbuckler and Warlock. Wizards - can choose between a bonded item or familiar; Pathfinder specialist schools (see pathfinder rules) . Sorcerers - have eschew materials feat, choose a bloodline as in Pathfinder (core bloodlines only). Paladins - Can choose between holy weapon or mount as per divine bond rules. Using Weapon Group feats. Swashbucklers / Warlocks get basic weapons plus any 3 / 2 others respectively. The party returned back to Farshore, bringing the prostitutes with them. Manthalay grumbled that they better prove some use, and seemed ready to pin the blame on Lavinina should anything go wrong. The winds were against them sailing back, and so they had to moor up in the southern bay overnight. Stefanie hit on the idea of keeping an eye out for island where the mysterious red-robed followers of Loki were based; the earlier interrogations had led them to believe this was somewhere off the southern coast of the isle of Dread. Between them, the party managed to spot torchlight on one of the islands about 20 miles south of their position. They made note to consider approaching the strange monks as potential allies. On returning to the settlement, the party set about on preparations for defence from the pirates. Jardek worked in the smithy, improving armour and weapons. Mendel worked to create a makeshift ballista, and oversaw selection of look out posts on the cliffs to site the siege weaponry. Krunk went out with one of the workforces to help clear the tress and source lumber for the various other activities. Dacien spent time with Prof. Aldwattle on spell research and documentation. Stephanie worked in the infirmary to imrpove the general health of the community. And Zhedd worked on the pallisade and cliff walls to strengthen their defence. This took a further week of hard toil. And in all that time, there had been no word from the Jade Ravens that had ventured out to hunt the troglodytes in the centre of the island. The decision was made to track down the Jade Ravens. Zhedd stayed in town to work on the walls and Antony stayed behind to do some digging on whether there was a Crimson Fleet spy in the village. The rest left with the local miners to head as far as the local emerald and diamond mine, and then set off for the sunken banana grove and the troglodyte lair. Jardek soon found the trail cut by the Jade Ravens and they followed that to the grove - until they stumbled upon a tripwire that unleashed shell-covered vines from the branches overhead with a loud clatter. Voices could be heard from up ahead, and so Jardek and Krunk decided to rush in and press the element of surprise. Krunk stumbled into a spear trap, covered in a sticky black substance, as Jardek and Mendel advanced. Suddenly,the banana trees around them sprung into life, and battered the party. Dacien's fireball quickly dispatched the troglodytes that were clustered in the cave entrance, and the rest hurried to the wait there. Another tree, later identified as a treant, uprooted itself, and barrelled through the party, trampling them into the rock, until it was hacked to pieces by Jardek. Two tunnels led from the entrance, one into a webbed cave, and the other clear, which the party took. Jardek managed to find the pit trap full of poisoned spike by stumbling into it. The next cave had a small troglodyte hunting party that was no match for Dacien's second fireball. SOme of the creatures poisons were beginning to have a telling effect on the party, and Krunk was left hallucinating and trussed up while they explored further. In the next cave, the troglodytes were waiting for them - shepherding 4 glowing blue lizards that crackled with energy towards the party. Behind them, a large muscular troglodyte, strangely misshapen with a grotesque upturned mouth, raged and led his warriors forth. Electricity sparked between the lizards, catching Jardek and Krunk unawares. A brutal exchange of blows was had between Krunk and the lead troglodyte, as Mendel picked off the lizard pets. Stefanie tried to aid but was overcome by the nauseating stench. Dacien saw Krunk start to flag, and quickly trapped the boss in an impenetrable sphere of energy. This allowed the party to dispatch the others, and wait to face the muscled brute. Stefanie prepared by animating the corpses of the dead troglodytes to surround their captive. However, due to some bad luck, when Dacien dismissed the barrier, it got the drop on them and charged through to get revenge on the cleric that had desecrated his tribe. He was eventually slain but not before catching Stefanie with a vicious bite. 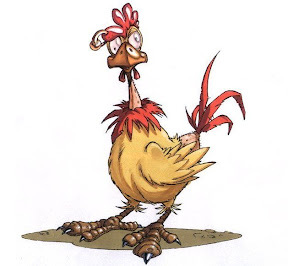 As it died, its body changed to that of a normal troglodyte, leading the party worry what it really was. Groans could be heard in another cavern; a flooded cave with a small island, littered with bones and shark jaws, in the middle. 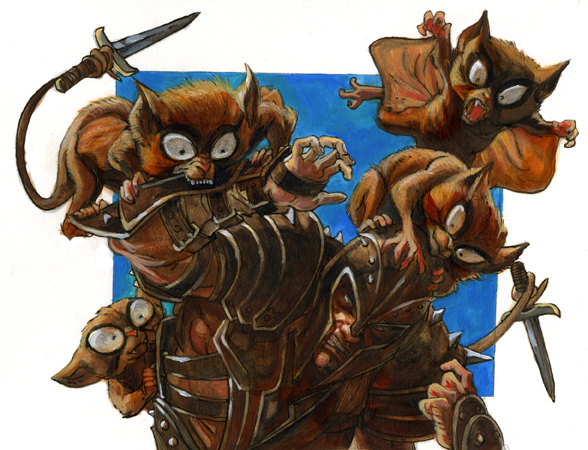 There, Mendel found Tolin of the Jade Ravens, delirious and covered in bites. The party brought him back and decided to rest before continuing. Clean, and his sanity restored, Tolin confirm that the other Jade Ravens had been killed,a s far as he could remember, and that he had been plagued with strange visions of swimming and violence. Mendel ate a banana and fell into a coma. The next day the party cleared out the rest of the cavern, facing giant spiders, but with no sign of any further troglodytes. 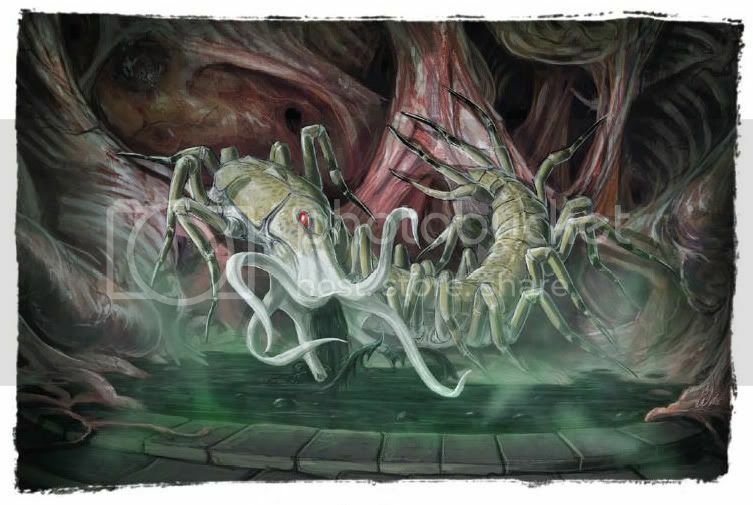 The spiders had webbed cocoons of several bodies, including the other Jade Ravens, a kopru, some natives, and a kna. The party recovered the bodies, although Tolin was a little wary of their intentions towards the gear of his fallen companions. 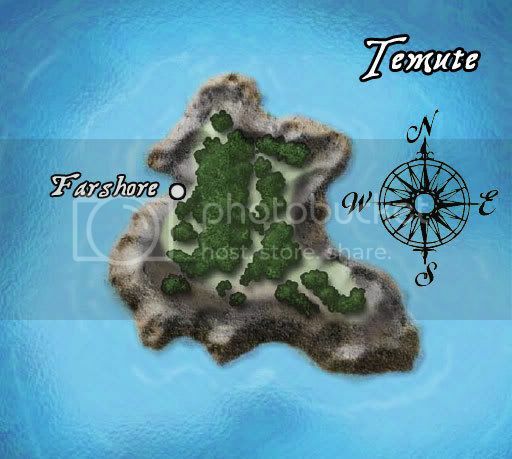 A club over the head reminded the party they should think about exploring the lake, where they found a chest, containing much coin, and an underwater passage that led north, seemingly towards the sea. Back in the grove, the party found spider eggs amongst the bananas, and realised that something was being done to sustain the plantlife here beyond the natural environment. The session continued in the ruins of Mora. There was much debate about several things the party needed to do - deal with the bizarre flesh golem in the catacombs beneath the village, decide how to continue the journey to Farshore, and, with their fresh supply of pearls, identify and dish out the treasure they had accumulated since leaving Sasserine. The golem was dealt with quickly, once the party had prepared themselves and a plan of attack. 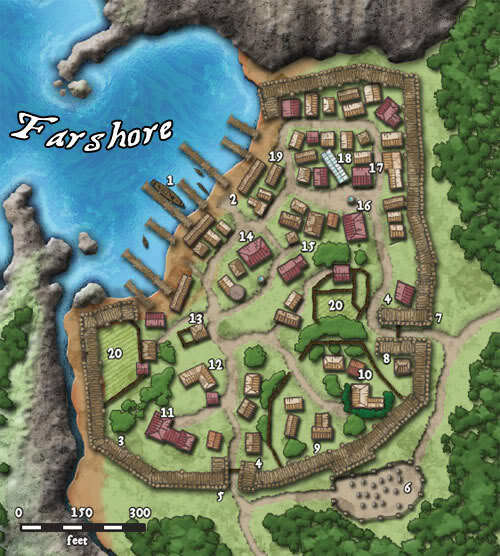 There was some confusion over how best to travel to Farshore, as the party initially started to prepare canoes and boats, then Stefanie used her Sending spell to contact Lavinia and arrange for a fishing ship to collect them from Mora. As Mendel watched for the vessel to approach he noticed a larger pirate ship sail behind it and into the harbour at Farshore. The fisherman begged them to hurry aboard, as Stefanie used her Sending again to warn Lavinia of the possible attack. After a couple of hours, the party entered the harbour of Farshore, to find the settlement aflame and under attack from a ragged looking bunch of pirates. Their ship, a battered vessel named Hellfish flying a symbol of a rat's hindquarters above its tattered sails, sat in the harbour. The pirate captain was visible in the midst of the settlement, a mean-looking cur wearing armour made of knotted ropes, with a hangman's noose hanging limp around his neck. The party hurried into the midst of the battle; Jardek ran to a nearby burning building to rescue a woman trapped under a fallen beam; Krunk bounded down the pier to tackle a leering pirate that had cornered a terrified woman; Dacien launched a fireball into a pack of the pirates that attempted to break down the doors to a chapel; Mendel picked off pirates from afar with his bow; Stephanie hurried to the aid of an unconscious mage lying on the beach amidst his glassware; Antony hurried after Krunk as 'damage control' and skewered a few passing pirates that hadn't noticed him; and Zhedd used his magic to put out a fire, and summon some hippogriffs to pick off the crew remaining on the deck of the ship. There was a brutal battle between Stefanie and the pirate captain, both trading savage blows with Krunk carving his way through the crew to come to her aid. As Jardek and Antony arrived to help, Dacien's magic missiles finally felled the captain. Krunk used a magic pebble to turn into a water cannon and put out more of the fires, Stefanie hurried to help the local militia who had been cut down by the pirates, as Antony and Mendel rushed out to the Hellfish to look for survivors. The ship itself was spartan, with few goods aboard save for tea and salt in the hold, and bare cabins. The hold also housed a makeshift stockade, in which sat a miserable one-handed wretch named 'Lefty'. He claimed to have been locked up for hitting the grog too hard before the attack, and rankled at Mendel's pompous attitude, asking to be given a quick death. Back on the shore, Lavinia arrived to greet the party, flanked by the Jade Ravens and other locals she introduced as the Council. She was delighted to see the party, but upset at the losses there had been since they left Sasserine, particularly of her close friend and mentor Amella and Urol, who had been due to sponsor much of the return to and rebuilding of Farshore. She offered the tired and weary party baths, drinks and hot food, and suggested they convene with the council in a few hours. Lavinia introduced the Farshore council members: Professor Aldwattle, an Alphatian alchemist; Vesserin Catherly, an elven priest of the Church of the Whirling Fury (a pantheon including Djaea, Ilsundal, Khoronus, Korotiku, and Hel); Telda Syren, an elven botanist and running the local apothecary; Captain Ulvar Kabbanja, head of the militia and one-time Thyatian gladiator; and Lord Manthalay Meravanchi, a no-nonsense merchant and follower of Asterius - and Avner's uncle. Keen eyes spotted that Lord Meravanchi did not seem overly pleased to see his nephew. Lavinia and Manthalay were in the midst of mayoral elections since Manthalay had been running the settlement in the absence of anyone from the Vanderboren family. Lavinia's return had thrown the local population into a fierce debate over who deserved their loyalty, and Lord Manthalay had determined that anyone contributing to the settlement should have a say who governs them. There was confusion over the pirate attack, as Lavinia did not think it public knowledge that the settlement even existed, let alone be on trade routes for pirates to plunder. 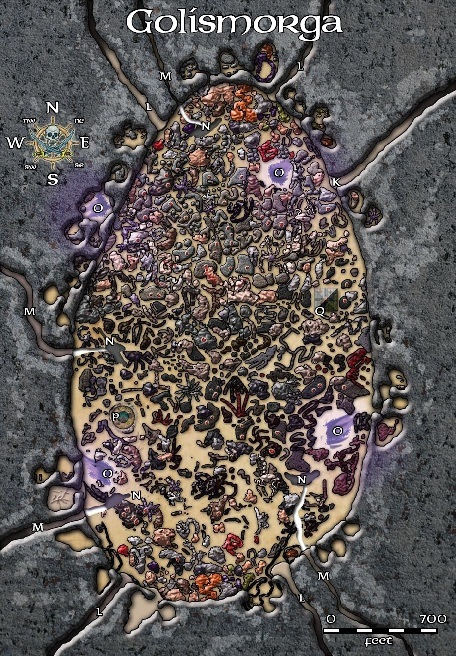 Without any pirates alive to question, they were left puzzled, although charts recovered from the Hellfish labelled an island to the south west of the Thanegioth archipelago as 'Rat's End', the possible location of their base. The party resolved to explore that island in the morning. The evening free, they were left to explore the colony; Mendel spoke with Vesserin at the chapel, who mentioned an emissary of the Church of Ixion who had recently visited before setting off for the plateau in the centre of the Isle of Dread, also that some of the locals were slightly unsettled that the growing graveyard had not yet been consecrated. Ulvar and Manthalay mentioned trouble with a troglodyte tribe in the centre of the island that was preventing them from accessing a possible banana plantation. Most importantly, they found out the name of the local tavern - The Last Coconut. Zhedd spoke with Kaskus, the druid of the Jade Ravens, and it was mentioned that they were unhappy being shown up by the party's actions, and many of them wished to leave Farshore. Reconnaissance at Rat's End found the remaining pirates slaughtered, and only their prostitutes left alive; in a ruse they had staged themselves to appear captives, but their ring leader 'Lie-low' Lil eventually admitted to the ruse, after she was sure of the nature of their 'rescuers and what was in store for them.The women were offered places back at Farshore, much to Lord Meravanchi's displeasure. Lil did know some further details about the Rat's End pirates and the Crimson Fleet - that the captain was contacted by their leader (Cold Captain Wyther) via a crystal ball, and that occasionally ships of the fleet would stop by on their way to Gallivant Cove at the north of the island for unknown reasons. The pirate captain had been asked to scout out Fashore ahead of the attack, but grew restless and impetuous and led an early assault himself. The party were on day 1 of ?? in the countdown to the arrival of the Crimson Fleet.